Home / News / Beck to fairy tail! Yggdrasil invite you on an adventure into the hearts of the popular children’s fairy tale; the Beauty & The Beast where Belle was taken hostage by the beast in his dark castle. This story of kidnap soon turned into a love story as Belle managed to bring out the kind heart and soul of the beast. No need to fear the beast in this slot game from Yggdrasil, as he can award your bankroll with some serious amounts of cash. Head into the castle as you hunt for big wins and superb bonus features. The maid, chef and butler are there to add more to your bankroll, but you’ll have to catch them first. 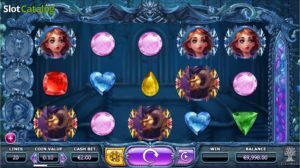 Beauty & The Beast is a 5-reel, 20-payline slot machine allowing players to stake little or big bets – depending if you are a cautious player or a high roller. Every spin can be played from as little as 0.20 to as much as 250.00 – the more your stake per bet, the bigger the prizes on offer. A big beautiful castle full of frozen flowers, stained glass windows and sculptures are waiting to welcome you inside the Beauty & The Beast slot machine. 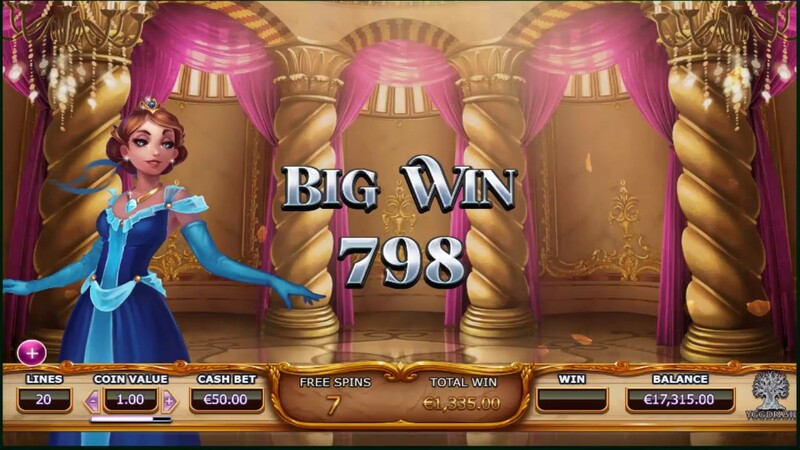 Don’t be afraid of the beast that sits above the reels, he is there just to watch you play and to the left you will find pictures of the maid, butler and chef – the characters of this slot machine who can bring your game alive. The control panel sits beneath the reels and is designed to look like the walls of the castle, with various options allowing you to adjust your bets to suit your budget. 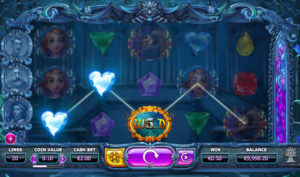 Belle, the beast and five different coloured gemstones can be found upon the reels, along with a rose – the symbol of romance.